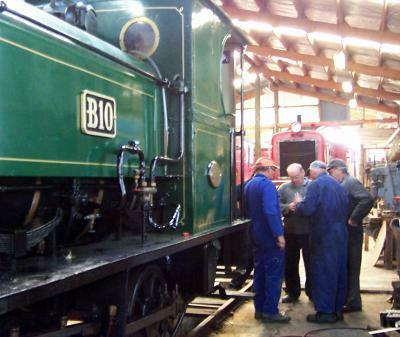 Jan 2014 An impromptu engineering conference alongside B10 steam locomotive inside the workshop. 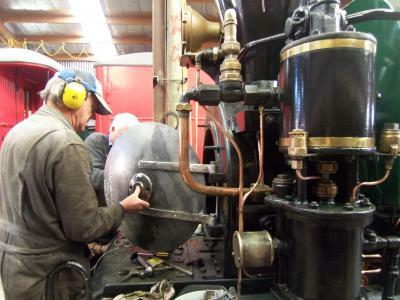 December 2013: Using the tractor fitted with a custom arm to lift the workshop hoist into position, OSR members Frank and John stand by to guide it into position. Welding on the hoist was recently completed and you are welcome to come by the workshop on any Saturday to see the completed project. December 2013: OSR member Wayne Brunton cleans the boiler tubes on the B10 loco after several months of running time. 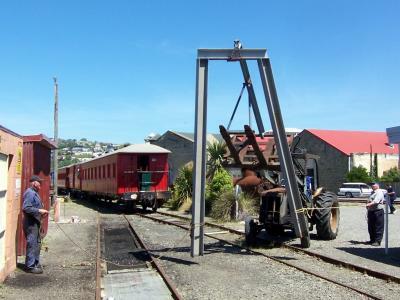 Using a long handled steel brush, this tough job would have been done more frequently back when the loco was in daily use. 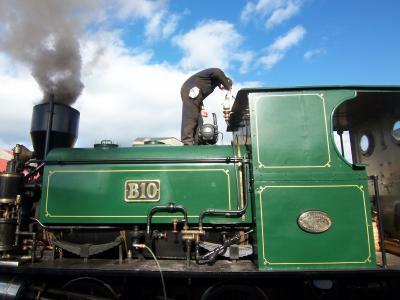 December 2013: George is polishing the whistle while B10's boiler is warming up and the tank gets filled with water. We had a great day out with fine weather and lots of people enjoying a ride of the train. 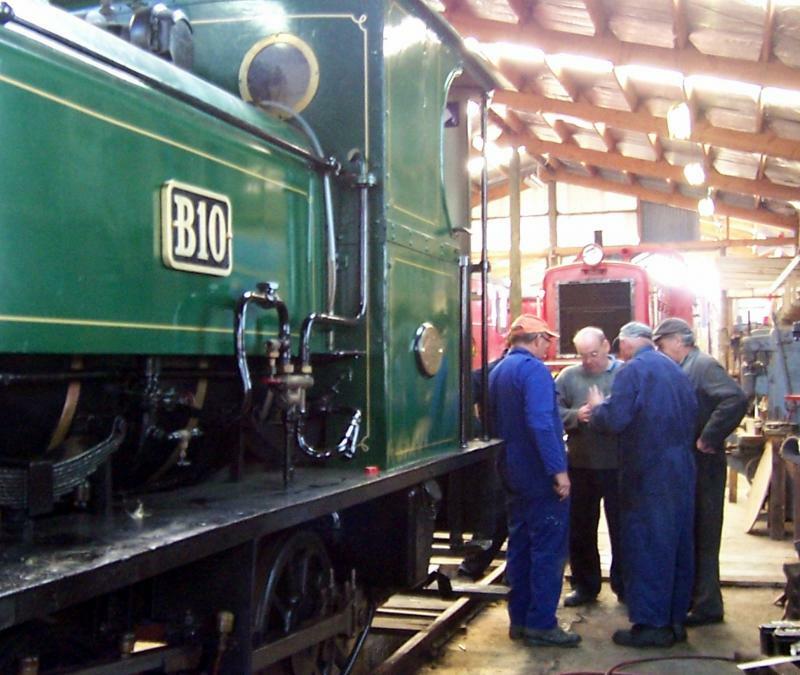 May 11, 2013: Frank observing while George drives B10 during the final testing before next week's running day on Sunday May 19th. 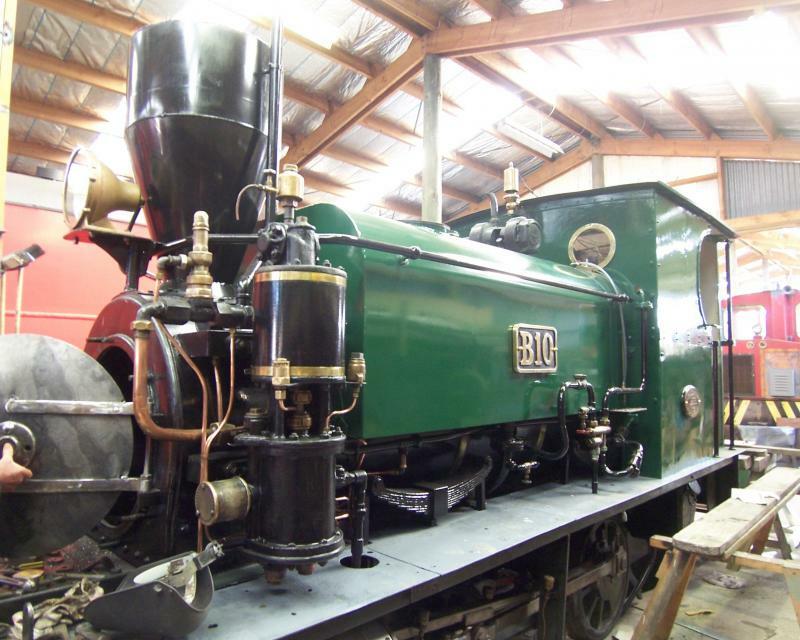 Be sure to join us and ride for a gold coin donation during our first public running day with B10 in steam following its 6 year restoration. 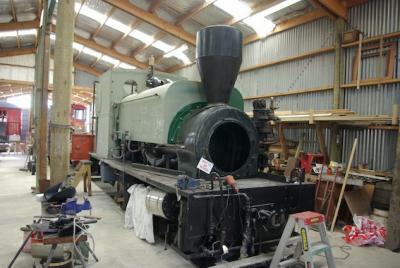 April 2013: B10 sitting in the workshop, nearly ready for a test run. 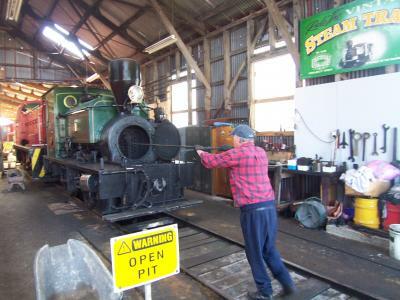 April 2013: OSR members Wayne and Wally fit the smoke box door, one of the few remaining details that need to be completed before we fire her up. 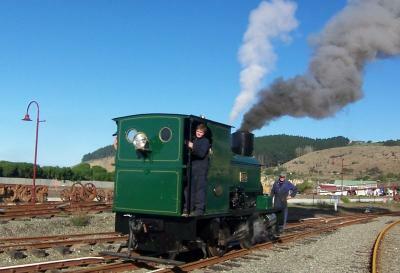 December 2012: View from the open carriage while waiting at the station. The Steampunk building (left) and Woolstore Complex (right) are just ahead of us. November 2012: With the new boiler installed and other bits added recently, our B10 steam loco is really starting to take shape! 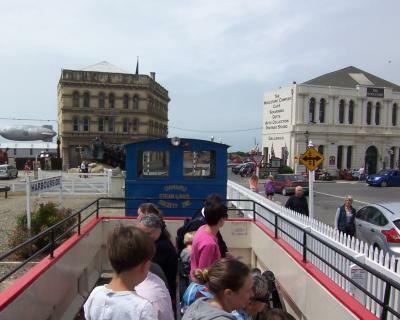 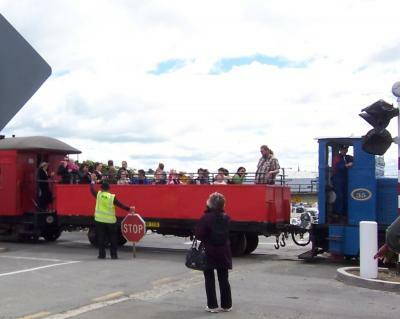 November 2012: Harry Andrew holds the stop sign while a full train departs Harbourside Station during the Victorian Heritage Week celebrations in Oamaru, NZ.